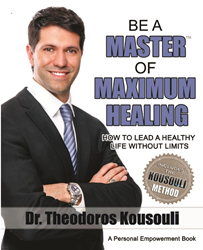 "Be A Master® of Maximum Healing", Dr. Kousouli shares secrets of natural healing for over 60 common ailments, empowering patients for maximum healing. “Be A Master of Maximum Healing” teaches how to change life for the better and heal from the inside out. Never before has it been so simple to understand the power to heal oneself. The power hidden in the spinal column is finally revealed in an easy to understand methodology, the Kousouli Method. Learn the interplay between the control of the nervous system and its interaction with day-to-day health; Old views of what the body is naturally capable of when given proper care may never be the same! Dr. Kousouli shares personal secrets of natural healing for many of today’s common diseases (over 60+) that the ‘Sick-Care’ industry keeps suppressed. Dr. Kousouli shares the secrets of why the American Health System is broken, who is behind it, and what you can do to empower yourself back into health despite the medicinal monopoly in this country. 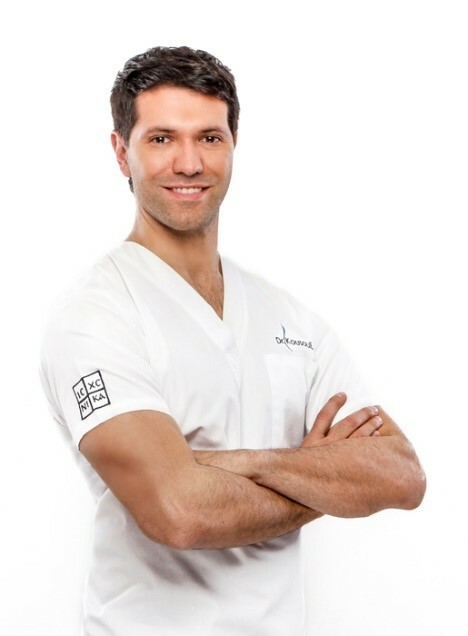 Dr. Theo Kousouli is a leading mind-body holistic healer who is changing the landscape in his field. He is a Board Certified Doctor of Chiropractic (spinal specialist), a hypnotherapist, and best-selling author of 8 life-changing books. As a personal transformation coach, Dr. Kousouli has advised entertainers, business leaders, energy healers and spiritual seekers of all varieties. His professional and spiritual path is a direct result of overcoming family, health and medical misfortunes as a young man.